among four samples, so you can see that it was rather limited in it’s usefulness. The album was later re-mixed with additional live instruments as synthesizer technology improved and made my original tracks seem dated. I feel that there is a certain charm to the simplicity of these original versions. I hope that you agree. I was impressed that Frankie was willing to try a very new technology near the end of his career. Here are the seven tracks that were included out of the 12 or so, that I created for the original album that was released in Cassette form. 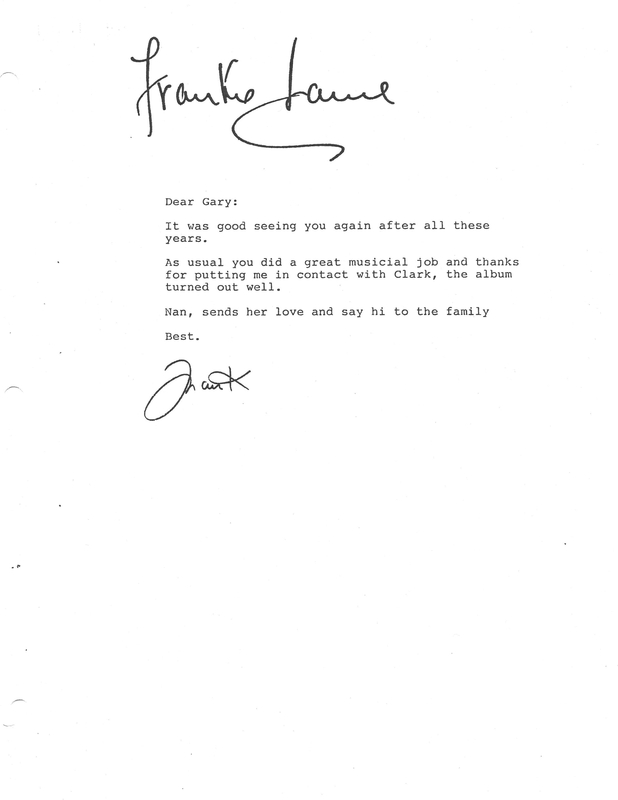 Recently, my friend Gary Smith, showed me this letter. 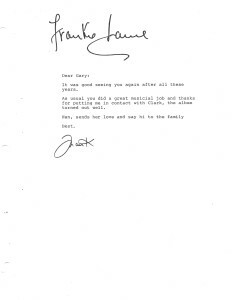 It appears that he had kindly recommended me to Frankie for this project.